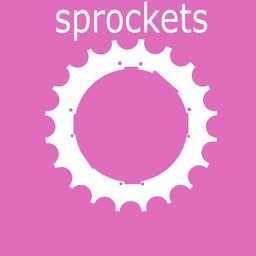 Sprockets tries to run with the minimum of rules and maximum flexibility but some rules are necessary for the safe and efficient running of the club. Some of these have been mentioned elsewhere on this website but we feel it important to mention them again. We would appreciate your support and understanding in this:. 1. The Sprockets team will supervise bike and helmet checks before each session, please arrive early to allow this to happen before the session starts, unfortunately late arrivals cause disruption. Please note that our checks are just so that we know that the bike has been reassembled correctly after transportation and is safe to use, pre-session checks do not replace regular servicing and adjustments. We have been reminded by British Cycling that for insurance reasons we are unable to carry out adjustments to bikes or allow parents to borrow tools. Unfortunately we will have to exclude a bike or helmet which does not meet the required safely standards. Helmets must be worn by riders at all times. 2. Sprockets cannot be responsible for supervision of riders outside of their allocated session times. Please supervise waiting riders, non-riders and younger children while the sessions are taking place and be considerate spectators. Distractions can cause incidents! 3. Only Coaches and official Sprockets Volunteers are allowed on the coaching area. In the event of an incident requiring parental involvement you will be invited to join us. This is for your own safety and the safety of our team and riders. Of course if you would like to be involved in the coaching of our youngsters or volunteer to help out we would be more than happy for you to talk to us! 4. We keep the minimum amount of essential contact and medical information about our riders. We do not share this information with anyone. Should you decide to leave Sprockets just let us know and we will destroy all the date we have from you. Our main aim here at Sprockets is to have fun but we do need to enforce the above to ensure the safety and wellbeing of our riders, team and spectators. Please do not hesitate to speak to one of the team if you have any queries on the above.